Hot or Not, an online platform where people rate the attractiveness of participants, took the Internet by storm over a decade ago. Now Hot or Not's creators have relaunched the dating app to help people connect with the hottest people in their areas. The updated Hot or Not app encourages people to vote on the most attractive (and least attractive) users, then gives users a popularity score and compiles a 'Hot List' to show in real-time where the most babelicious people are each neighborhood. The app is designed to take the guesswork out of tracking down good-looking people. For example, concert goers using the app will be able to check their iPhones to see whether highly rated 'hot people' are at the bar or near the stage. Users can also chat through the app, provided they rate one another as 'hot'. 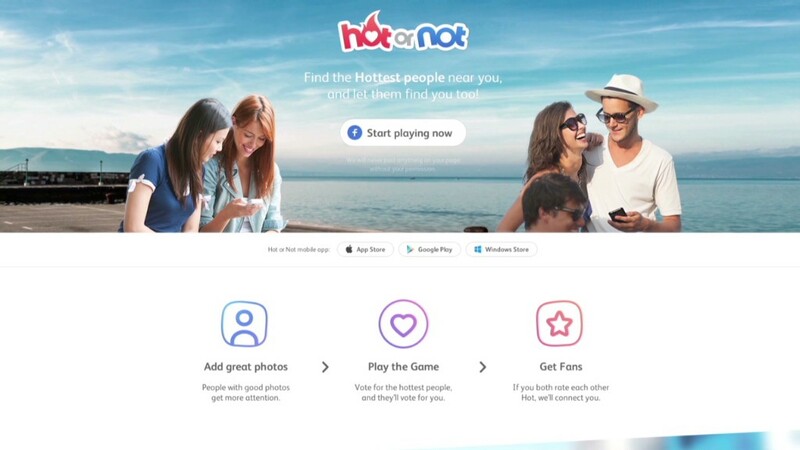 "Since 2000, the Hot or Not brand has been an inspiration behind some of the most popular platforms and products currently available to consumers including Facebook (FB) and YouTube," said Andrey Andreev, CEO of Hot or Not. "With the addition of 'Hot Lists' ... we are bringing an elevated and more exciting version of this iconic brand to a new generation of users." But the app is not for the faint of heart. Online daters can be ruthless in their assessment of people's physical attractiveness. Each individual will have a "hot rating" attached to their profile, which is decided by voting. Needless to say, some users may not be happy with their results. The company behind the app -- London-based Badoo -- would not reveal user numbers in other markets, though the app is available in over 30 languages.